This page contains extra information on the MA courses I teach. It is intended to help students to decide what courses to choose and to let them know about preparatory reading. The official description of modules is found on OCASYS. I may change or update the information given below. Once teaching begins, the information on these pages becomes obsolete since the full details will appear on Nestor. For general advice on MA dissertations. inter-religious conflict, dealing with the relationship between Christianity to Judaism and Islam (The Jew of Malta). The course will be taught in seven weeks in three-hour seminars. It will be assessed by a written discussion paper that will be delivered in one of the seminars and a final essay written in the examination period after the seminars are over. William Shakespeare, Richard III. Ed. Richard Cartelli. Norton Critical Editions. (W.W. Norton & Co., 2008) 978-0-393-92959-1. William Shakespeare, Macbeth. 2nd ed. Ed. Robert S. Miola. Norton Critical Editions. (W.W. Norton & Co., 2013) 9780393923261. The plays of Christopher Marlowe in any academic edition, e.g. in The Complete Plays. Ed. R. Lindsey and T. Romey. Penguin Classics. (Penguin, 2003) 978-0140436334. If you are happy to read a play on-screen, this is available through the university’s subscription to Literature Online (LION). It is important that you buy the Norton Critical Editions of the Shakespeare plays as we will be using some of the essays/background information that comes in them. 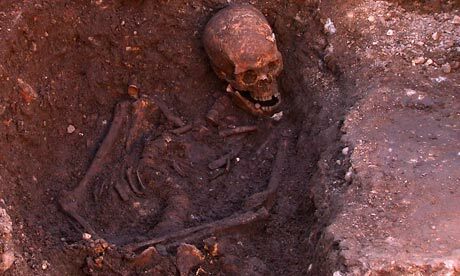 The bones of Richard III were found under a car-park in Leicester in 2013. This event prompted a lot of media discussion of whether Richard was really a wicked king or whether he was the victim of bad PR (including Shakespeare’s play). Read the plays listed above. If you haven’t read Shakespeare’s The Merchant of Venice before, it would be a good idea to do so. Richard Loncraine (dir. ), Richard (1995). Set in a fascist England and starring Sir Ian McKellen. Roman Polanski (dir. 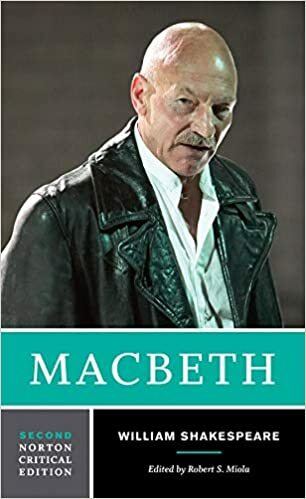 ), Macbeth (1971). Thought to have been influenced by the murder of Polanski’s wife. Derek Jarman (dir. ), Edward II (1991). Dominic Dromgoole (dir.) The Duchess of Malfi (Shakespeare’s Globe, 2014). I am teaching the first seven weeks. Weeks 8-10 are reading and assessment weeks. After this, another staff member teaches the second part of the course. This section only deals with weeks 1-7. The complete course (14 weeks) is a 10 ECTS one. This course can be taken by students on the MA in English Literature or the WEM MA. When people think of literature they often focus on the author’s decision to write sometimes acknowledging the importance of there being a market of readers. The first part of the course deals with ‘book history’, a fairly new field in literary study that examines the sociology of the book. This approach doesn’t marginalise authors and readers, but it also looks at other factors that influence book production such as technological change, format (book, periodical, website), copyright and censorship. At key moments in human history new technologies fundamentally affected the circulation of literature. The transmission from oral to written texts is an example of this; however, this course focuses on the impact of print and the parallels that this had with the rise of electronic texts in our time. Once censorship is mentioned it seems obvious how this affects the production of books. However, the history of censorship embraces everything from book burning to library acquisitions (a particularly vexed question in the US). The internet seemed to offer possibilities to circumvent censorship laws but it may well have replaced active repression with de facto suppression of texts by search engines and commercial interests. People have strong feelings about copyright. For some it is a bridle on freedom while for others it gives authors the freedom to write. Any form of regulation influences literary output, for example, novelists have rewritten parts of their works to bring them under the protection of copyright laws. The internet may make all of this redundant and various suggestions have been advanced regarding the future of copyright in a digital world. Note that the history of the book usually incorporates questions about bibliography and textual editions. However, these will not be dealt with here as they appear in WEM3. You should purchase David Finkelstein and Alasdair McCreely eds, The Book History Reader. 2nd ed. (London: Routledge, 2006). The course will also employ readings that are available to RUG students in library databases. There will be a written assignment during the taught weeks and a 2,500 word essay in the assessment weeks. Together these will be worth 50% of the total assessment for the whole course.